Moz is a sponsor of Code Fellows’ job event on Jan. 16, 2013. They’re hiring! Moz develops inbound marketing and social optimization software, as well as easy-to-use tools, tutorials, and educational resources that make marketing analytics accessible to everyone. But we’re more than just a software company: We’ve built a vibrant community of over 300,000 members who read and comment on our blog, attend Moz events, and participate in our weekly webinars. So many things! Our core values are reflected in our TAGFEE code—being as Transparent, Authentic, Generous, Empathetic, and Exceptional as possible. It guides all aspects of the company, from creating our software to communicating with each other, to the level of service we give to our subscribers and community members. Our culture isn’t just about Nerf gun fights and company parties (though we have those too! )—we’re a passionate bunch who believe in upholding these principles, and have created a truly exceptional work environment as a result. 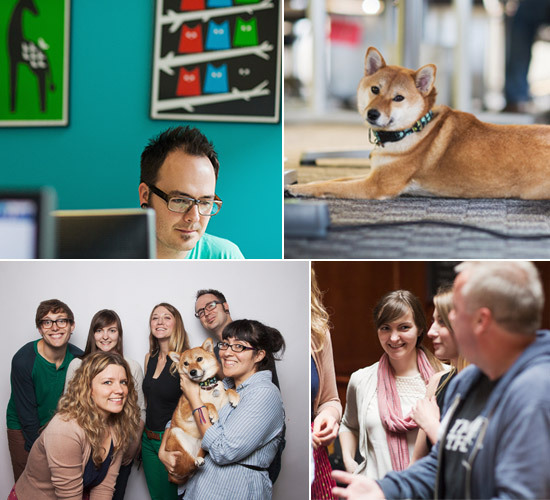 Check out Seattle Metropolitan’s article naming us the #1 Best Place to Work. We also offer a lot of really cool perks: what we call “Paid Paid Vacation” ($3000/year vacation expense bonus, plus 21 days of paid vacation), paid internet for your home, great medical benefits, 401K with matching, charitable donation matching, weekly catered lunches, paid transit passes or parking, subsidized gym memberships, the opportunity to travel for work, and more. We’re located right by Pike Place Market in downtown Seattle. Our office is open, collaborative, and full of natural light if the sun decides to shine. We’ve got a fully stocked beverage fridge, coffee and espresso station, beer fridge, cereal bar, liquor bar, snacks both healthy and sweet, plus a ping pong table, darts, and plenty of Post-Its for creating your own pixellated murals in the windows. We’re blocks away from the light rail and most bus lines, and surrounded by delicious places to grab lunch, coffee, and snacks. Software Engineers, SDETS and DevOps all day long. Ruby experience is desired, but we’re excited about any smart, passionate, experienced candidates. Want to work at Moz?